We’ve been helping companies with their people strategy for nearly 30 years. We’ve seen it all – mergers and acquisitions, waves of new technology and processes, changes in workforce demands, and transitioning organizational cultures and structures. And through our work, we’ve developed a deep understanding of what it means to be successful – for your organization, your teams and your leaders. The Success Labs team is just that – a lab consisting of problem solvers, forward thinkers and possibility seekers. Individually, we bring expertise through years of experience in industry and leading teams. Together, we help hundreds of companies and their people explore and achieve their potential. We believe it can be a simple process that requires a proactive approach and effort to meet the existing and future demands of our ever-changing business world. Devin has been helping people successfully manage their careers, teams and organizations for 20 years. 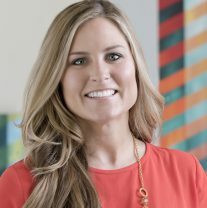 She leads the Success Labs team of eclectic consultants with the primary focus of partnering with local and global companies to create custom leadership development, talent management and succession planning processes to meet their unique cultures, and short and long term talent development needs. While Success Labs works across industries, Devin has a particular interest in helping healthcare and petrochemical manufacturing clients meet the upcoming talent crunch through great people strategy. Devin’s tenacious spirit and innovation led her to co-build inQ, a succession and development planning software. Devin is on the Board of Directors for Neese Industries and the Baton Rouge Gallery and she is a member of the Baton Rouge Rotary Club. She was the 2013 Baton Rouge SHRM Professional of the Year and a Business Report 2016 Influential Women in Business recipient. She speaks locally and nationally on the topics of succession planning, HiPo development and knowledge transfer including the National SHRM 2017 Annual Conference & Expo. In Devin’s spare time, she likes being outdoors and is an avid bike rider. She is also the mother of gainfully employed triplets who reside in Baton Rouge, Louisiana; Nashville, Tennessee; and London, England. Gloria is a senior consultant, highly experienced facilitator and consultant with a diverse client portfolio including companies like CF Industries, Newtron Group and Shintech. With over 15 years of experience in supply chain, people and human resources management, Gloria served 11 years at Intel Corporation working with factory, corporate and supply chain partners spanning multiple levels of global management. Gloria was recognized as an expert people manager who maintained high employee morale and effectiveness. 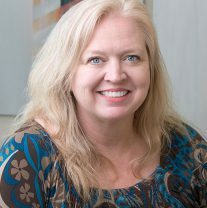 Later, in her role as the first human resources manager for Tony’s Seafood and Louisiana Fish Fry Products she developed the HR department, instituted team and organizational development programs, facilitated and improved the performance review and compensation processes, and consolidated benefits administration. Gloria uses these real-life work experiences when consulting with clients and facilitating workshops across the Gulf Coast. When she’s not working, Gloria is an avid reader and loves everything soccer and spending time with her family and beloved dog, Jack. With 10 years of experience in marketing and brand management, Chelsea sees leadership and organizational development as an opportunity for businesses to strengthen their brand through their people. 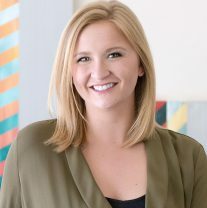 Chelsea joined Success Labs after serving as Brand Manager at Louisiana Economic Development. Chelsea’s expertise includes communications, brand management, strategic planning, digital marketing and workforce technology. Chelsea’s involvement and leadership in a variety of projects have led her to understand communication gaps amongst teams and the challenges businesses face with ever evolving technology. Chelsea brings a unique perspective and insight that can be applied to building and strengthening the professional brand of individuals and identity of businesses. 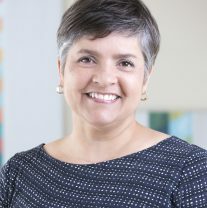 She is also heavily involved in developing the go-to-market strategy for inQ, Success Lab’s proprietary succession and development planning software. Chelsea serves on the board of the Baton Rouge Children’s Advocacy Center. When Chelsea isn’t in the field, she’s busy experiencing new festivals, performing with the Prancing Babycakes of Baton Rouge or playing co-ed softball. Cay’s experience as an educator for Teach for America and interest in the health care industry has led her to manage a variety of projects at Success Labs such as Woman’s Hospital Clinical Leadership Development program. 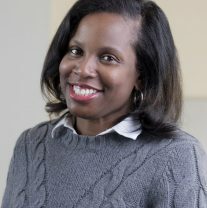 Using her Master’s degree in HR Development from LSU and her undergraduate degree in Health and Behavioral Education from KU, she consults and manages projects at Success Labs and coaches clients with a focus in Leadership Development. Bringing a fresh perspective on organizational development, Cay manages and supports clients of Success Lab’s in-house succession and development planning software, inQ. Cay moved to Louisiana in 2014 from Kansas, and has enjoyed being in the Bayou State ever since. When Cay’s isn’t working, she’s enjoying food, music, outdoor activities and traveling. Eddie’s leadership philosophy is to be self-aware and make a decision – and helps emerging leaders learn how to do this at Success Labs. Eddie recently earned his Ph.D in human resource and leadership development with an emphasis in organizational development from LSU. 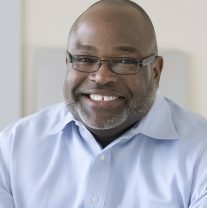 Eddie brings both an academic and industry background in process and strategic management to Success Labs. 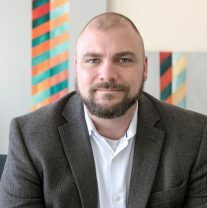 Eddie served six years in the United States Marine Corps and has more than 10 years of business management and leadership development experience which he shares as an adjunct professor at LSU. Eddie earned a B.A. in liberal arts from The Ohio State University and an MBA from Tulane University’s A.B. Freeman School of Business. While at Tulane, he studied abroad in Shanghai, China. Eddie has been published by the Academy of Business Research and has presented at various academic conferences. Eddie serves as a board member for the Wilson Global Initiative and is active in the Baton Rouge Area Chamber of Commerce. Don has spent his career helping others through career counseling, facilitating workshops and coaching. With more than 15 years of experience in workforce development and higher education, Don has established new programs to meet industry workforce needs and has assisted military service members and veterans in transitioning into new careers as public school teachers. Don received his bachelor’s degree in sociology and his master’s degree in educational leadership from Mississippi State University. Don served 16 years in the Army National Guard and US Army Reserve and is a Global Career Development Facilitator and Facilitator Trainer. When Don isn’t developing leaders and assisting people with their careers, he spends time with his wife Verni and their children Hannah and Matthew. Christy’s passion for strategic planning and program development has led her to build and sustain successful organizations across the nation. 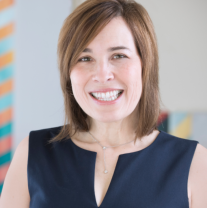 Through experience and a deep understanding of executive leadership, Christy helps leaders thrive in their career, navigate change, lead diverse teams and grow healthy, successful organizations. With her commitment to accuracy, attention to detail and organization, Tamara fits perfectly into her role managing the business organization and operations at Success Labs. For 12 years, Tamara managed daily business operations for Woman’s Center for Wellness Fitness Center/Spa. She applies her expertise in accounting, management and overall business organization to helps Success Labs run smoothly and efficiently on a daily basis. Tamara is also an entrepreneur and a Certified Zumba instructor. She still teaches weekly classes at her gift and fitness boutique in Prairieville, Monet & Emily’s Unique Boutique. implement meaningful experiences and pragmatic solutions that result in action through change, improvement and growth. This is not only our mission, but our sole focus which allows us to dive into our niche and be experts in our field. To do this, we offer companies across the country guidance and training on leadership development, executive coaching, organizational development, talent management strategies, succession planning and experimental learning workshops and seminars, and strategic planning. Our team of consultants uses research-driven, competency-based processes and offers inventive ways for companies of all sizes and industries to develop leaders of all levels. In 2016, Success Labs made the LSU 100 List as one of the 100 fastest-growing companies throughout the world owned by LSU graduates. Our work is applicable to all sectors and can be seen across a variety of industries. Below is a snapshot of industries we serve regularly.